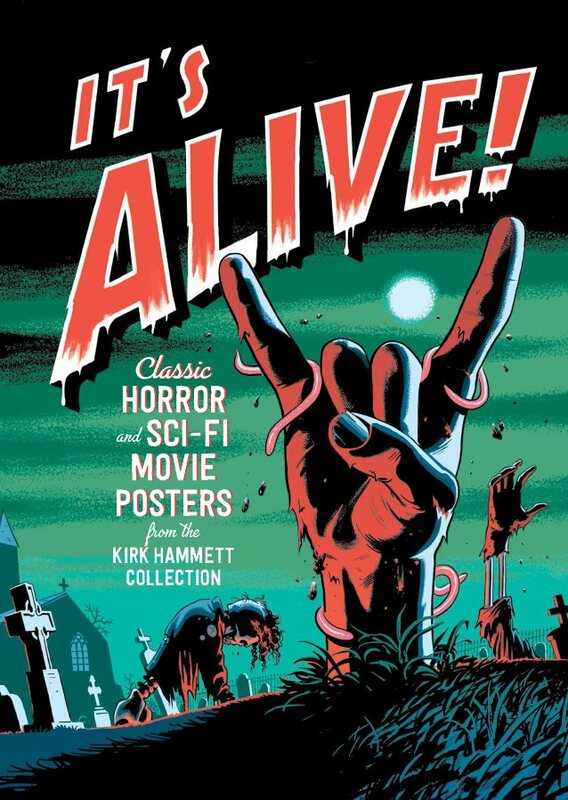 Kirk: “There’s a whole field dedicated to restoration and preservation of movie posters, and there’s a complete field of experts that all they do is restore and preserve movie posters for museums, for collectors, for business and whatnot. I’m connected to all the best people, because I want all the best work done on my posters. I don’t do that stuff myself — I was told not even to attempt to do anything like that myself because I’d probably do more harm than good — but knowing that there’s incredible people out there, when I find a movie poster and it’s, like, tattered, and it looks like it’s about to fall apart into a million pieces, I know that I can take it to someone who can put it together and, like a Frankenstein monster, piece it into something that comes alive again. Hammett released a coffee table book in 2012 called “Too Much Horror Business” that featured photos of his extensive collection of monster and horror memorabilia. He displayed a portion of his collection in the “Kirk’s Crypt” exhibition during the 2012 and 2013 Orion Music + More festivals. The METALLICA guitarist is also known as the Fear FestEvil horror convention organizer.